Once you make this yoghurt you will never buy shop bought again! 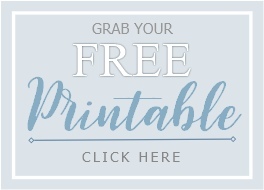 The beauty of making your own yoghurt at home is not only the huge cost saving, but that you now control what goes into your finished yoghurt. We start out with a totally plain Greek style yoghurt, full fat, no added sugar or fruit etc. You can then add whatever ingredients you like to the whole batch or like us leave it plain & just add what you want to each serve. Having a plain yoghurt also lets you use it in savoury dishes like curries - yum. 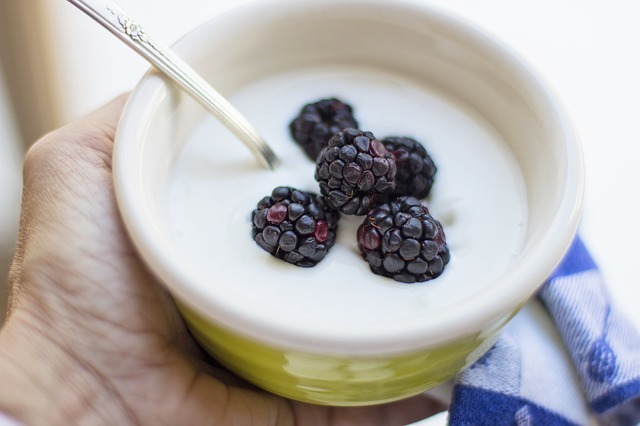 So, here is how to make yoghurt in a slow cooker. Add the milk to the slow cooker & heat on either low (takes about 3 hours) or high (takes about 1 hour) until it gets to 82 degrees celsius. We use a digital thermometer which has a metal spike attached that you dip into the milk - it is easy to read & accurate. Once the milk has reached the correct temperature, turn off the slow cooker & allow it to decrease in temperature to 42 degrees celsius. When it reaches the correct temperature add your 1 cup of yoghurt & whisk in thoroughly. Unplug the slow cooker & wrap it in a large thick towel. Leave it all day if you start it in the morning or overnight if started later in the day so it can thicken. This happens faster in Summer than in the colder months. 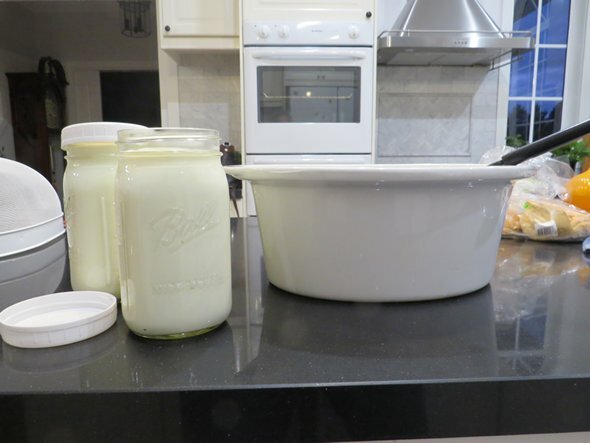 Once set we ladle the finished yoghurt into sterilised jars & refrigerate. That's it - your done! You now have 3 litres of lovely home made yoghurt for very little effort & at a much lower cost. I use it in fruit smoothies and sweeten with some pure Stevia ( I use Nirvana Organics brand). Or just have a cup full with some fresh berries from the garden or frozen if you don't have fresh. It's nice to first blitz the berries into a sauce in a blender or magic bullet, then swirl that through the yoghurt before adding a few extra berries. 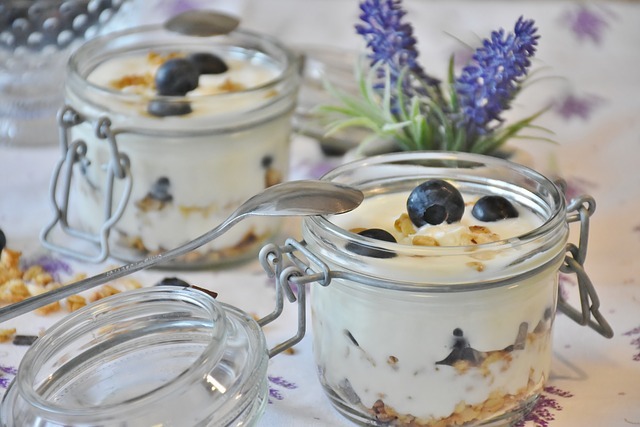 Try layering the yoghurt in a clear glass or small mason jar with fruit, toasted coconut or muesli (granola) for a pretty snack.